Hotel Engimatt, Zurich. Engimatt Hotel Zurich. Hotel Engimatt is surrounded by a peaceful green oasis in the peaceful "Enge" district, a favorite residential area of Zurich. Yet, just a few minutes' walk brings you to the "Bahnhofstrasse", the historic city centre and beautiful Zurich Lake. The "Rietberg" museum with its park is also located nearby. The hotel's cozy garden terrace with its fountain, lounge, fish pond and plenty of greenery is a lovely place for breakfast, lunch, cocktails or dinner. The hotel's bar is smoke free, but a smokers' lounge is available. The reception is open 24 hours a day and our receptionists are happy to offer advice and information, foreign currency exchange, make restaurant reservations, call taxis or organize car rentals. In addition, luggage storage, laundry service, postcard, stamp, public transport ticket sales are also available. 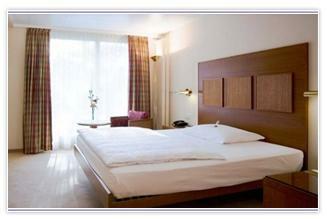 Hotel Engimatt also offers stylish and renovated function rooms with modern technologies for meetings.